Looking for a Pool Hall in Louisville? Look No Further! | Joe Hayden Real Estate Team - Your Real Estate Experts! Looking for a Pool Hall in Louisville? Look No Further! Being one of the biggest and oldest cities in Louisiana means that Louisville has something to offer everyone, whether you're a local looking for a new hobby or you're a tourist looking to soak in some Louisiana culture. For instance, Louisville has a great number of pool and billiard halls for the beginner or the more discerning pool player, and here is a list of some of the best places to play in the city. Now you'll have a better idea of where to go the next time you're looking to shoot some pool. 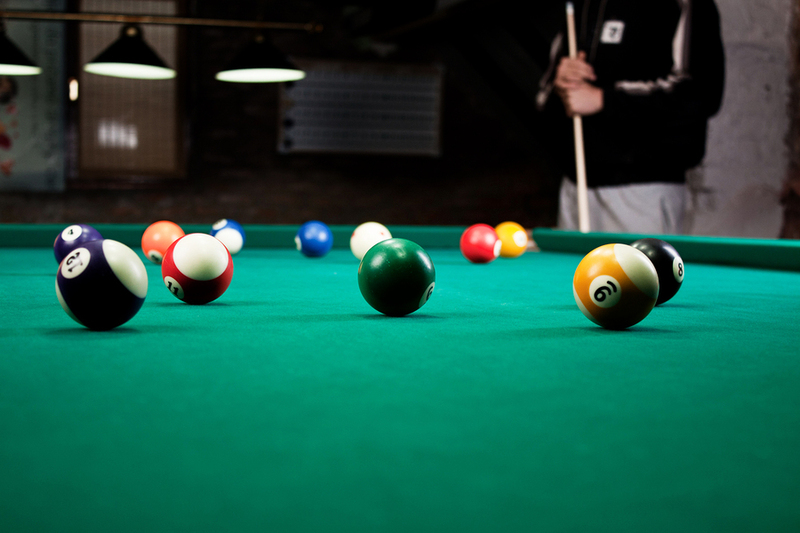 If you're looking for a pool experience in Louisville to occupy your time all day and all night, then one of two Diamond Pub & Billiards locations is where you should head the next time you’re looking to shoot and eat pub fare. Both locations are open 365 days a year and are open until 4 AM each night, giving you all the time you need to get your pool fix. There are approximately 20 tables in each establishment, so you will likely have a table when you arrive, and the kitchen stays open until an hour before close, so you never have to leave! The Frankfort Avenue location has a jukebox, an outdoor patio area so you can take a breather between games, and televisions so you don't have to miss the game or local news. The Back Door is a pool hall and restaurant that is better suited to larger groups. Children are more welcome than they would be at a venue that is specifically about playing pool. Known as "The Back Burner Grill" because of its relaxed atmosphere, this pool hall is situated in the heart of the Highlands neighborhood of Louisville. The Back Door features eight pool tables that are located in a separate pool room which, according to the website, is meticulously maintained in order to offer their customers the best pool around. The establishment is also in charge of the Metro Pool League, and holds their competitions on Monday evenings starting at 7:30 PM. The Billiards Club of Louisville makes a point of acknowledging that their venue is not a restaurant first. Rather, the 15 regulation-size pool tables are the draw here, which is why the club is able and willing to run and support their own pool league. There is live music or music playing on their state of the art sound system all week, but amenities such as this are there to complement the pool playing. There is also a food menu that is ever expanding to include enough of a variety to satisfy the vast number of pool payers who frequent the location, and there is a patio area in case you need to escape the live music for a while or just take in some fresh air between league games. So whether you're looking for a more relaxed, family atmosphere like The Back Door, a pool hall that's open all year and all night like Diamond Pub & Billiards, or a destination that's dedicated almost solely to pool like the Billiards Club of Louisville, there is an option to suit any player's desires. Make your way down to these Louisville pool hot spots and get a great game in today!